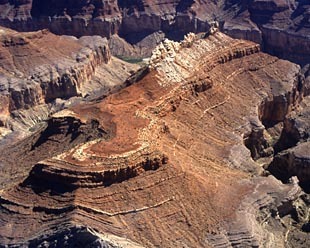 A road on the plateau at Arizona USA is cut at the rim at Grand Canyon. 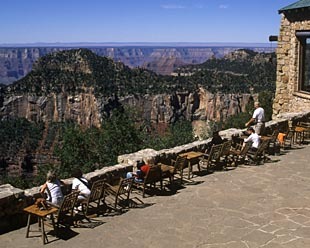 It is the lagest canyon. 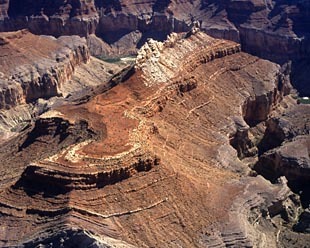 We can see a lot of layers at Grand Canyon. 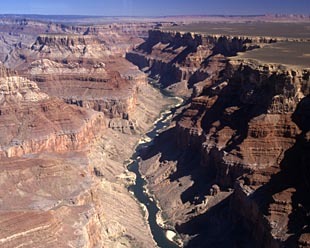 The long history of the earth has been memorized into the layers. Someday the canyon was under the sea, someday the canyon was a forest. 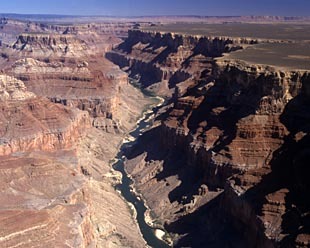 The plateau raised up from the sea about 10milion years ago, when Colorado river start eating the plateau away. 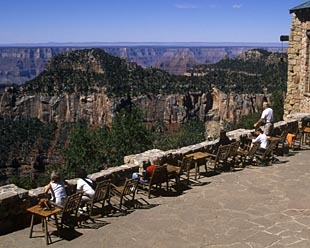 This is Northrim of Grand Canyon, where is quiet because it is so far from big towns.